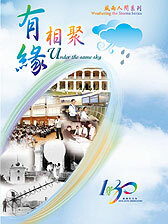 Meteorological manuscript: The Hong Kong Observatory has published a collection of essays entitled Under the Same Sky to commemorate the department's 130th anniversary. 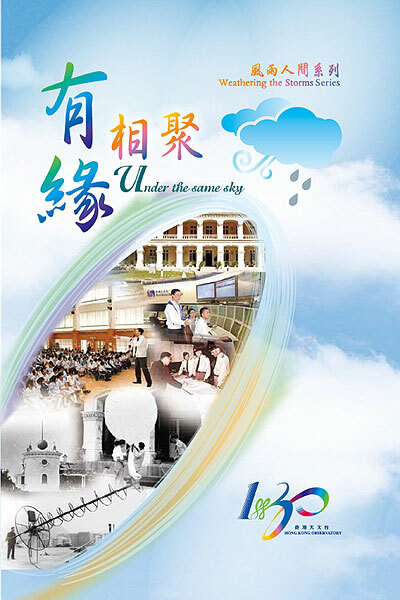 The Hong Kong Observatory has published a collection of essays entitled Under the Same Sky to commemorate the department's 130th anniversary. The book comprises 50 Chinese and English articles written by six directors and serving and retired staff of the department, scholars, and other people. Through the authors' real-life stories, and more than 150 pictures, the evolution of the observatory and society over the decades is vividly recorded. Natural disasters that Hong Kong has experienced are recollected in the book, to increase public awareness of disaster prevention and mitigation, in preparation for a possible increase in frequency of extreme weather brought about by climate change. The book, at $74 a copy, is on sale at the observatory’s Resource Centre, the Information Services Department’s Publications Sales Unit, and the Map Publications Centre, Kowloon. It is also available from the Online Government Bookstore.